Look at Salman Khan! Producing a really good movie! A good movie in every way, great story and script (lifted from a Thai film), good actors, good songs, good direction. And a nice small film too, a cheap film that can make a solid profit. It’s too bad everyone around the movie besides Salman was too freaking STUPID to appreciate it. Here’s what irritates me. BollywoodHungama in their review said “NOTEBOOK is a niche, multiplex-type urban film”. Why? Why is it a niche multiplex type film? Because it isn’t filled with insane violence? Because it has pretty visuals and good songs? Because it has an intelligent plot? And “everyone” knows that poor people don’t like those things, poor people are dumb and only want anger and stupidity. If this film had gotten a decent promotional campaign and release, I am sure it could have found an audience and made a decent box office. This is also showing why everyone casts star kids. If you made this same movie but with Janhvi and Tiger, it would have fixed all the promotion problems. The media would have written constant articles about the celebrity kids, twitter would be trending for or against them, and everyone would show up for this film out of curiosity to see how they did, and then end up enjoying it. Heck, that’s what happened with Salman’s Hero remake. But instead they made this movie with nice solid outsider actors (okay, Nutan’s granddaughter, but she wasn’t exactly instagramed her whole life), and paid the price in a total lack of publicity. Salman did his best, tweeting songs and stuff, but I didn’t see any news stories planted or much buzz anywhere. Except here! All you nice people nagged me and nagged me and I actually went to see the film and really really enjoyed it. This really is an awesome song, and very in keeping with the feel of the movie. That’s the kind of movie it is. If you watch the trailers and the songs and you enjoyed the feel of them, you will also enjoy movie. It’s the kind of nice small movie that would find an audience back in the old days when people actually watched trailers for themselves, instead of just listened to buzz and opinions about opinions. 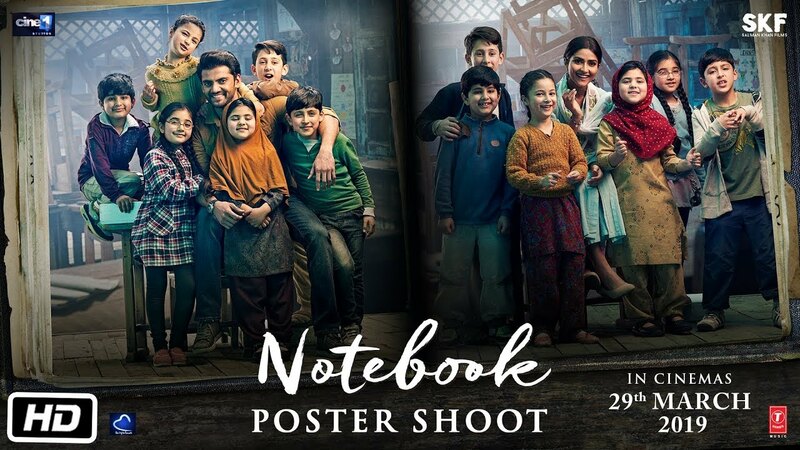 If Salman Khan’s film company can learn to keep up with the times and update their promotional strategies, and keep making good solid movies like this, Salman could maybe finally retire. Okay, this is the No Spoiler review, but I am going to give a mini-spoiler. I spent this entire movie stressed, because it felt like the kind of film that would be happy and idyllic and simple, and then take a sudden turn for the tragic. And, it didn’t! There is no sad twist that you need to fear and wait for. Relax, enjoy the love, be happy. This entry was posted in Uncategorized and tagged Notebook, Pranutan Bahl, Salman Khan, Zaqeer Iqbal by mredlich21. Bookmark the permalink. I’m happy you saw the movie, and that my “trailer-radar” works and it’s as good as I thought it will be. I’m thinkig about the promotions of Notebook, and of Loveyatri. The latter was much much worse movie, but had Aayush Sharma, and thanks to that was talked a lot. I hope so too! At the very least, I will be showing it to my friends. By “the original” do you mean the Thai film The Teacher’s Story, or the American film The Notebook? It has no connection to the American movie, but seems like it is a pretty close remake of the Thai film. Anyway, you will like it once you have a chance to see it! Oh, then I definitely want you to see this movie! I suspect the changed almost nothing from the original, but I want confirmation. I tweeted your review to the director of this movie and he liked the tweet. I hope he also read the post. I hope so too. And thank you!